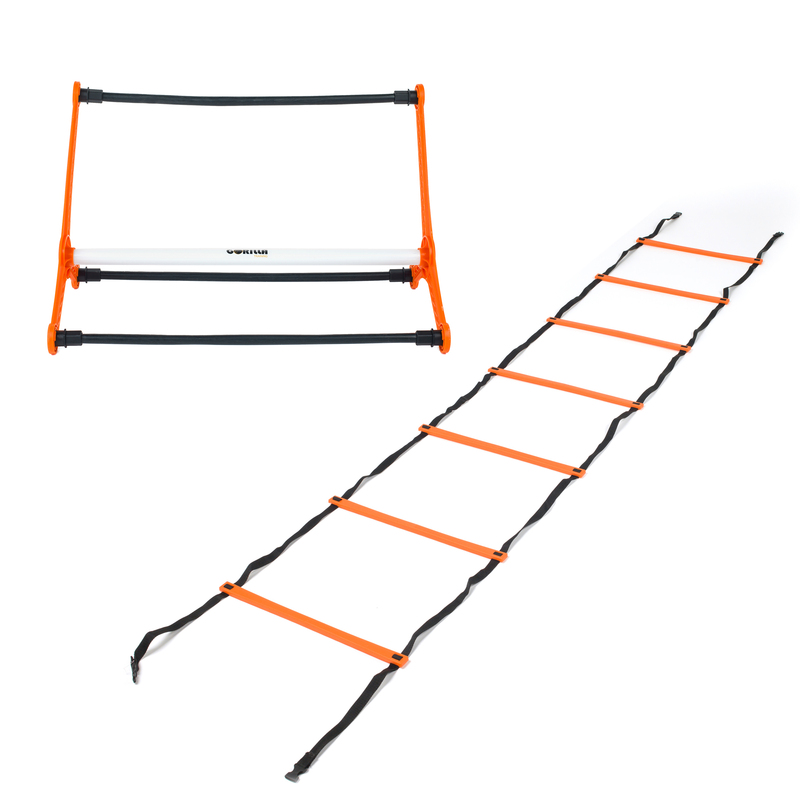 This Gorilla Training speed and agility set is a practical and effective training accessory for individuals, teams and coaches from any sport or activity. 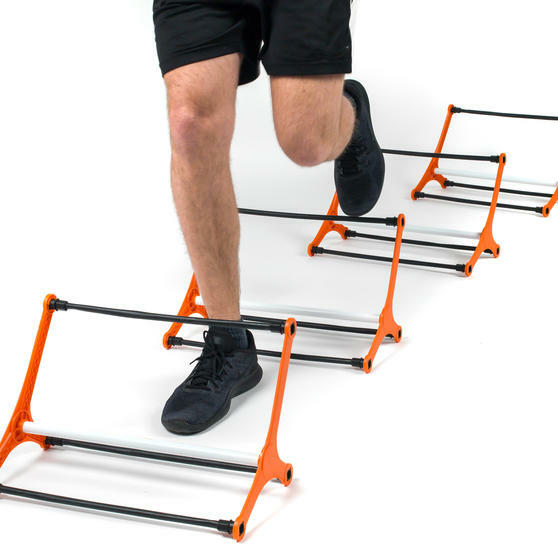 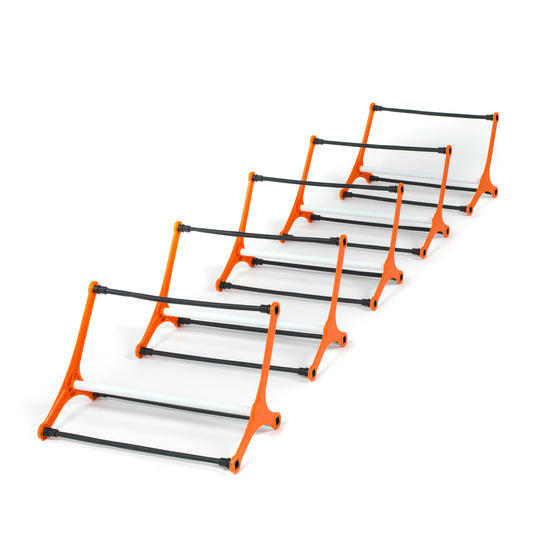 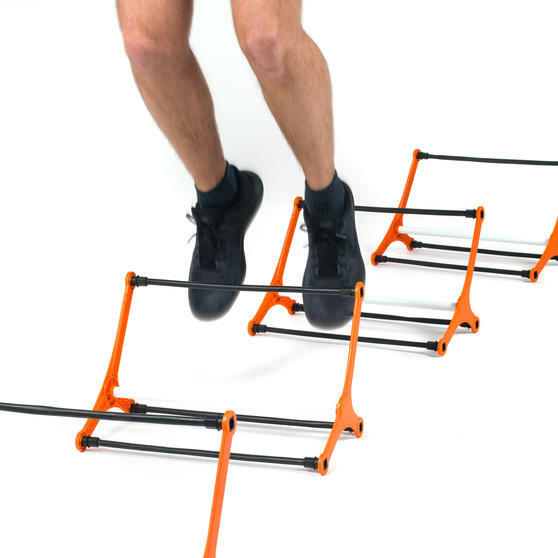 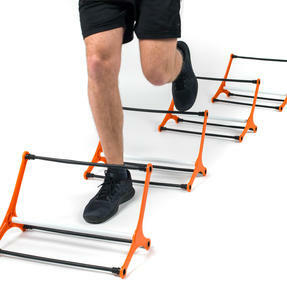 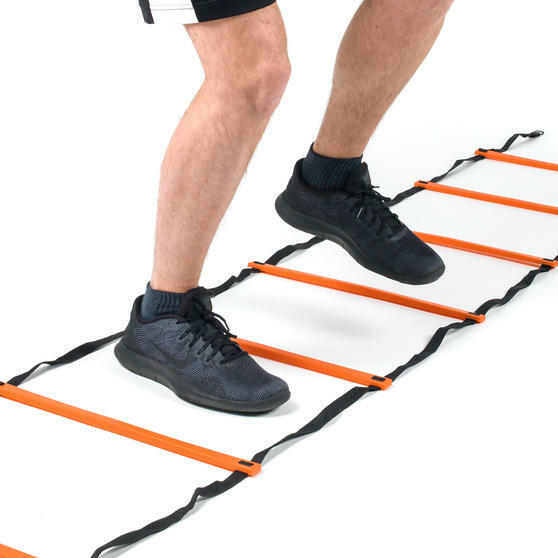 Ideal for football, running, rugby and more; the hurdles and ladders are designed to improve speed and acceleration while promoting fast footwork, coordination and balance. 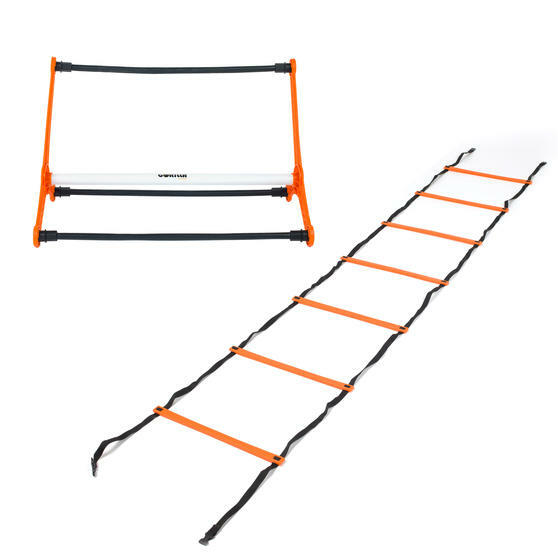 With fast set up and easy portability, the set is great for circuits, drills, training sessions and warm-up exercises for all sports and abilities. 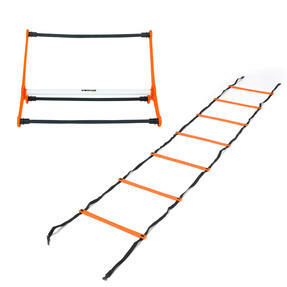 Perfect for grass, AstroTurf or hard courts, this fitness and agility training kit includes three 3m ladders and five hurdles. 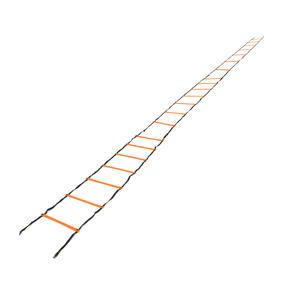 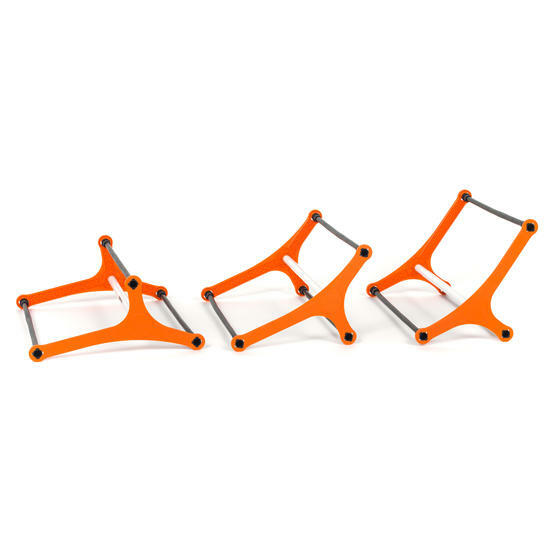 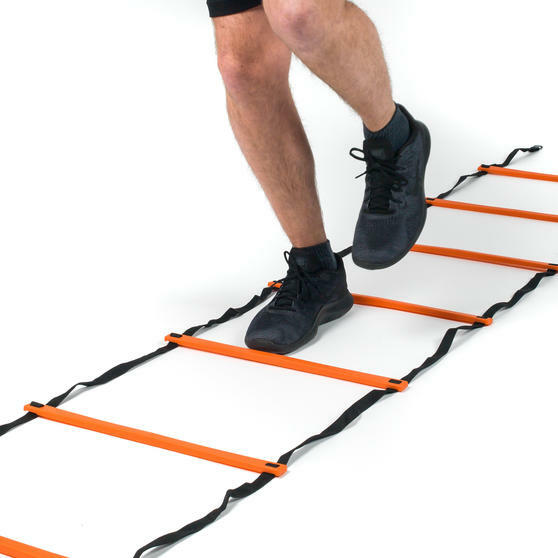 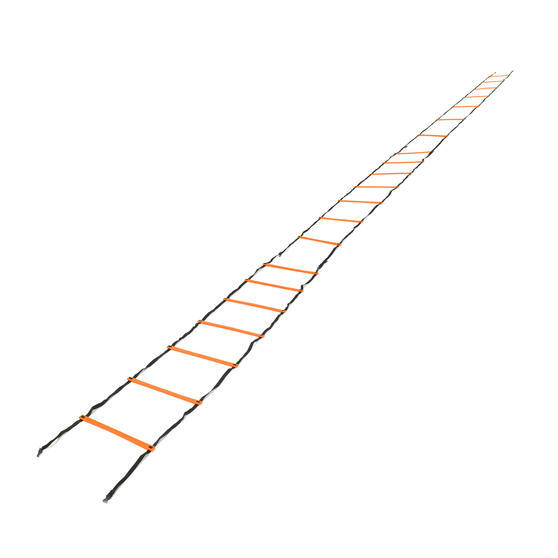 The ladders feature plastic rungs spaced at 45cm intervals, while the flat profile of the orange rungs decreases the risk of slipping. 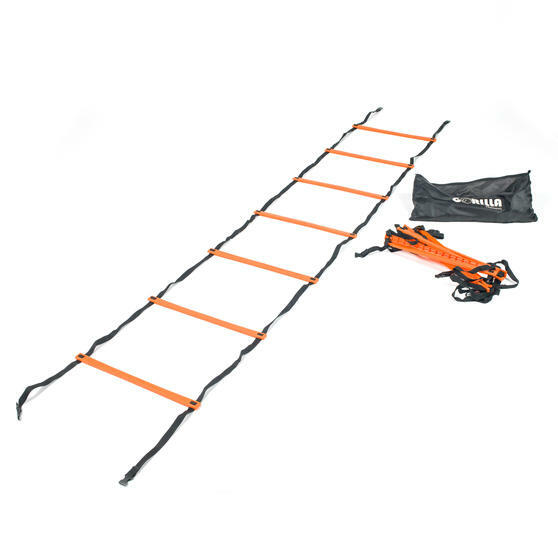 Challenge foot speed, agility, balance and fitness, then simply fold away into the included carry bags for easy carrying and storage.